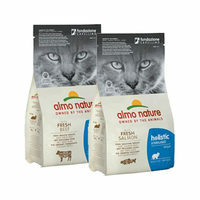 Almo Nature, established in 2000, was the first company to offer healthy and pure cat food without additives, worldwide. 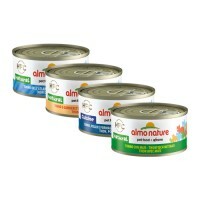 Besides the trusted Classic, Daily Menu's and Holistics range, Almo Nature introduced the Rouge, Green, Azul and Orange labels in 2011. 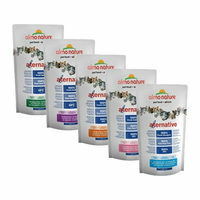 The Almo Nature range consists of pure, natural products that are 100% cruelty-free. Moreover, all of their products have no additional preservatives, colourings or other chemical additives to make food more aesthetically pleasing. 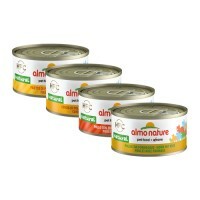 Almo Nature abides by a number of values including their love for animals, high quality products and transparency, and research collaborations to create 100% recyclable and flexible packaging to limit any damage to the environment. 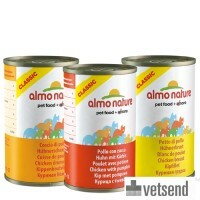 The assortment of Almo Nature products range from dry food to wet food and contain a wide variety of flavours. 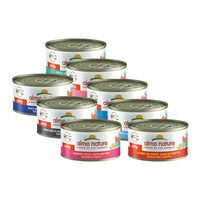 Each type of food provided by Almo Nature highlights a different main ingredient, such as fish or meat, which feature different natural vitamins and ingredients. 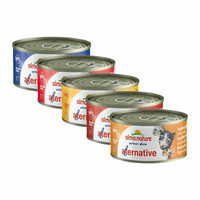 For this reason, it is recommended to switch between different types of dry food and wet food. 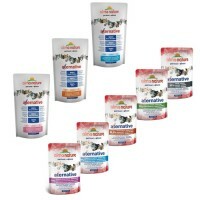 This will help your cat receive all of the necessar vitamins and minerals. To optimise the nutritional value, certain products contain additional vitamins or supplements. There is no difference between the level of quality in the Classic and Legend ranges. However, the Legend products have a higher percentage of meat and the Classic range have a lower amount of calories.